Whether it be medically necessary or based on personal preference, eliminating gluten has been a rising health trend. Research even suggests eliminating gluten may be beneficial for individuals with psoriasis. So how might a gluten-free diet help psoriasis? Whether it be medically necessary or based on personal preference, eliminating gluten has been a rising health trend. And despite the diet’s necessity for individuals with Celiac disease or a gluten sensitivity, rising research suggests eliminating gluten may be beneficial for individuals with psoriasis. So how might a gluten-free diet help psoriasis? Both psoriasis and celiac disease are autoimmune disorders, though psoriasis affects the external surface of the skin and celiac disease disturbs the internal digestive tract following gluten consumption. According to the National Psoriasis Foundation, up to 25 percent of people who have psoriasis may also be sensitive to gluten, a protein naturally found in barley, rye, and wheat. 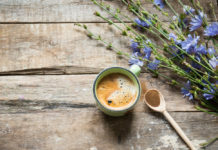 While the connection between psoriasis and gluten is not well-known, it may be related to the theory of psoriasis and celiac disease sharing common genetic and inflammatory pathways. In fact, research further suggests having psoriasis almost doubles the risk of becoming diagnosed with celiac disease. Health experts suggest a gluten-free diet for psoriasis may…. Interestingly, there really is no empirical evidence or confirmed clinical treatment of following a gluten-free diet to treat psoriasis, but rather convincing theories and self-claimed testimonials. However, consistent personal endorsements swear by a gluten-free diet and its ability to relieve psoriatic symptoms. Especially if paired with celiac disease, eliminating gluten can enhance may reduce fatigue and increase energy levels. Individuals are also more likely to experience less bloat and gas, in turn reducing discomforts and resulting to more drive to be active. While the thought of psoriatic symptom relief is admirable, one must also consider the potential of weight gain, especially if uninformed of the gluten-free world. Although fresh produce and lean meats are naturally gluten-free, resorting to the gluten-free aisle may feature products that are still packed with sugar and other unnecessary ingredients. Ultimately, one should not automate a gluten-free diet as a weight loss plan. 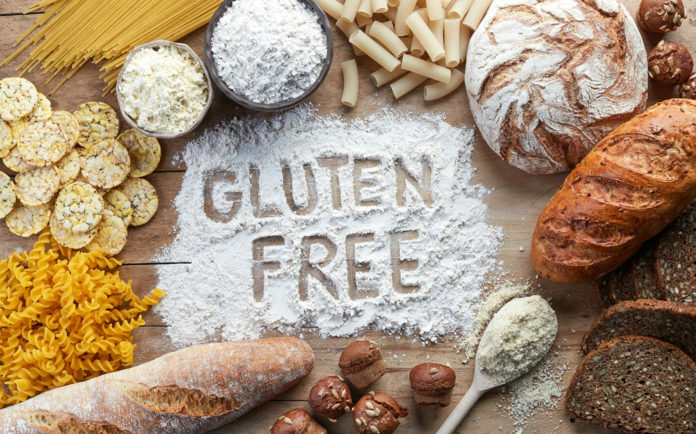 While going gluten-free may seem as simple as eliminating barley, wheat, and rye, gluten is actually found in a wide variety of foods, including unlikely sources such as sauces, dressings, and soups. Additionally, cross-contamination is also of concern, especially if ordering from restaurants. If desiring a safe gluten-free diet for psoriasis management, look no further than Balance by bistroMD. Balance understands the hardships of successfully following a gluten-free diet and offers gluten-free, a la cart meals straight to your doorstep without the commitment and recurring payments most delivery memberships require. Find more information on Balance by bistroMD and their gluten-free meal options here. Reference: Treating psoriasis: Diet and Nutrition. National Psoriasis Foundation.